About Erynne: tânsi kiya, my name is erynne michelle and i am of mixed Saulteaux-Cree Métis, Filipina, Irish and Scottish ancestry. As someone of mixed ancestry, I believe it is essential to work towards a world where Indigenous communities and cultures, and the values that ground them, take precedent in our societies today. As a light skinned iskwe (womyn), I believe that it is my responsibility to confront colonial sexualized violence and educate non-Indigenous societies about the importance of Indigenous ancestral knowledge, relational accountability and protocol. I am currently a PhD Student in the Indigenous Governance Program at the University of Victoria. My Doctoral work focuses on Indigenous wellness, leadership and body-governance; specifically birth-work. I further aspires to continue my collaborative research with community relations in the South through comparative North-South conversations and collaborations. Erynne splits her time between Coast Salish/Lekwungen/WASANEC territories (Vancouver Island), Munsee Delaware/Oneida/Chippewa on the Thames Territories (Ontario) and Brazil. I knew I wanted to be a birth worker for as long as I can remember. It wasn’t until I stumbled across a grant for Indigenous folk seeking doula training- that I was able to access the training. In conversations with other birth workers, I began to understand the profound experience of birth, and the important roles of birthing traditions in efforts towards Indigenous sovereignty, well-being and self-determination. I do not see ceremony as divorced from politics, and furthermore body divorced from Land. Therefore, I believe that the work of an Indigenous doula, is integral for both physical and mental health as well as spiritual and emotional well-being. 1) To acknowledge and therefore interrogate colonial historical legacies (founded upon racism, sexism and white-supremacist capitalist values) within mainstream health-care practice across Turtle Island. 2) To create safe spaces for Indigenous families to bring their new ones into their homes, clans, families and communities; in culturally safe and spiritually relevant ways. 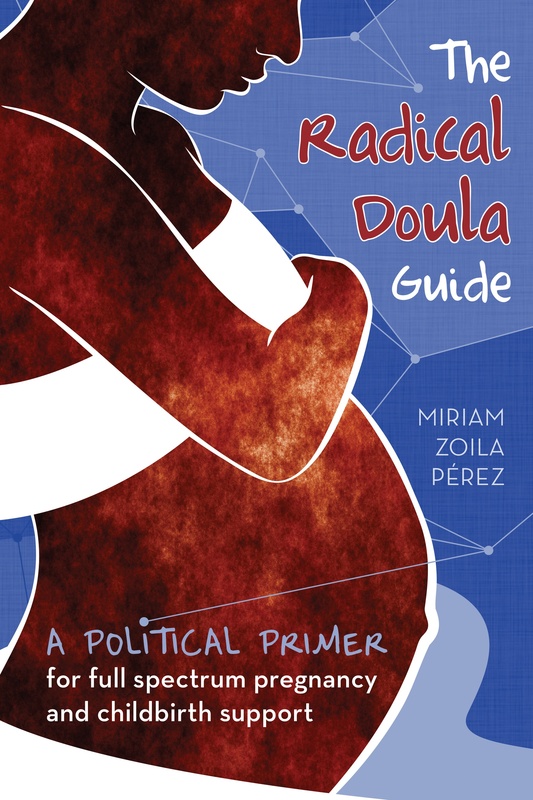 My philosophy as a Doula is to first and foremost support the Mother and her relationships to herself, her body, her baby, partner/family and the Land. I want her to feel a sense of confidence in her work, and to know that no matter what she has someone beside her at all times- and through all waves of struggle, emotion and triumph. Furthermore, I believe that all families should be able to access safe health-care support, without the danger of racism or colonial violence. Therefore, I see myself as a mediator between non-Indigenous care-givers and the Indigenous families I support. Finally, if the family chooses, I believe I have the responsibility to create birth spaces that feel culturally relevant and safe. While I have only attended two births (as I received my training this year-2016), I would have to say my favourite thing is the relationships that are established. These are life-long relationships because in some way the mothers- and families experience a re-birth as well. I feel honoured to be able to witness such miracles, as well as support the mothers/families in any way that they need. Each time a young one is born, we are healed a little more. I believe that when born into the Language, into the hands of a loving circle (parents, family, birth aunty), and with water songs- that child’s spirit knows where it belongs in Creation. This is the power of birth work. That ALL Indigenous families and families of Colour have access to loving birth support/doulas/birth aunties – who have undergone meaningful and in-depth training on decolonial health-care, anti-racist birth-work and Indigenous birth traditions.